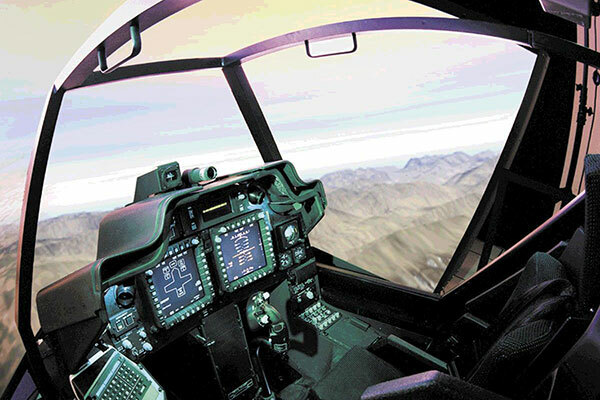 Apache Longbow Helicopter Crew Trainer (LCT) conducts mission simulations to train pilots. The LCT contains an Instructor Operator Station (IOS) for control of the simulation exercises and live viewing of the visual content depicted in the cockpits. Instructors needed the ability to view everything the pilot trainees do and see in the simulator cockpit. RGB Spectrum’s SuperView® multi-image display processor receives video and computer imagery from the LCT cockpits and combines them into a single image for viewing on a IOS display in real-time. SuperView’s inputs include video of over-the-shoulder and out-the-window views and visuals of flight control, navigation, target acquisition, and weapons control. Images can be any size, anywhere on the display, overlapped and zoomed / panned to view areas of particular interest.